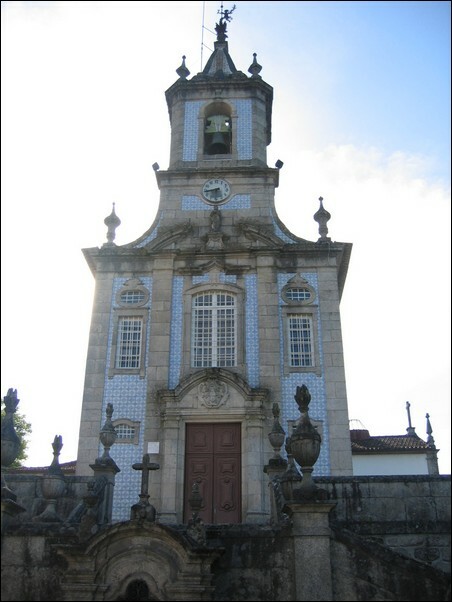 “With good reason the Portugese consider the Minho to be the most beautiful part of their country.” — The Rough Guide. 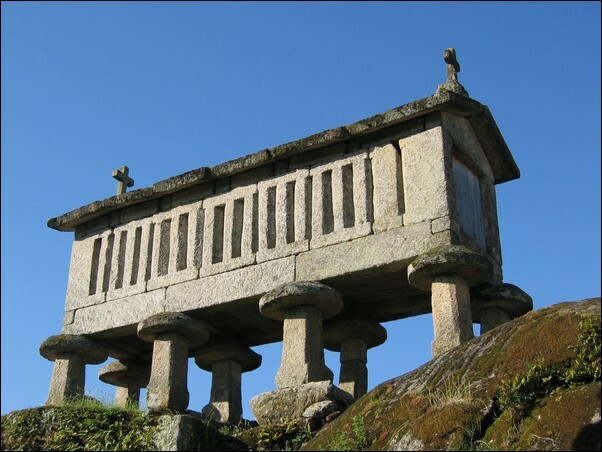 The Minho lies in the north-west corner of Portugal adjoining the Spanish province of Galicia. 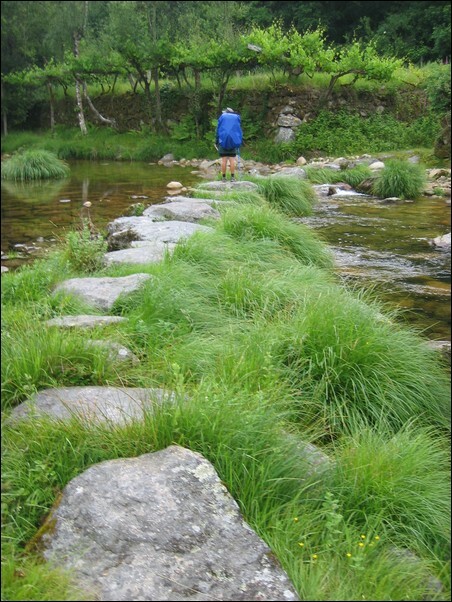 It is one of the wettest places in Europe; rain is likely at any time. A green land of forests and cultivated valleys, the landscape changed dramatically about 300 years ago with the introduction of corn from the Americas. For the first time, here was a cereal that would not mould in the wet winters. 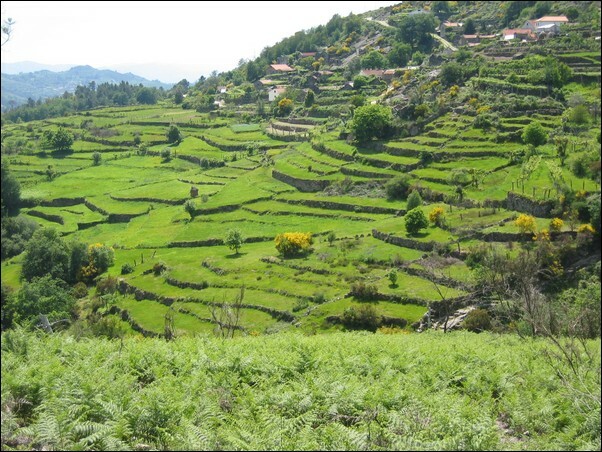 The valleys were able to support a much larger population and any arable land was terraced with fields too small for a tractor to work. Connecting the fields are delightful granite tracks, grape vines overhead, rutted by centuries of cattle drawn carts. 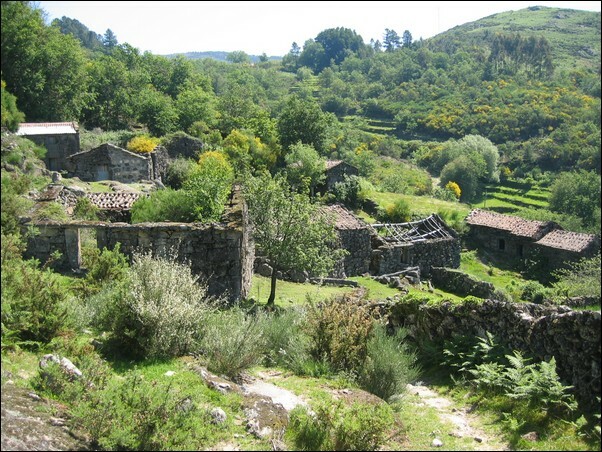 Unfortunately the traditional hill farms, tracks and way of life are going the same way as the Iberian Wolf. 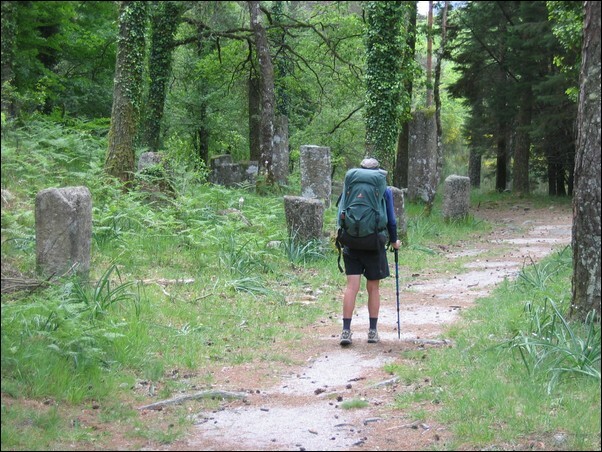 We had already walked some of the Minho as part of the Camino Portuguese. 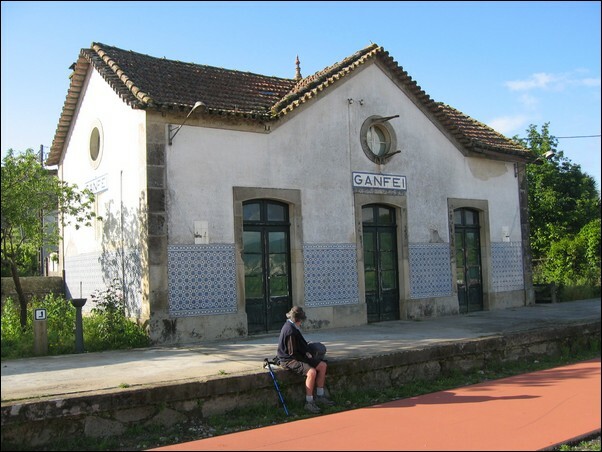 After a night in Tui, Spain, we crossed back to Portugal and walked 25 kilometres from Valanca to Moncao along a disused railway line that's been made into a footpath. The old stations are still intact. 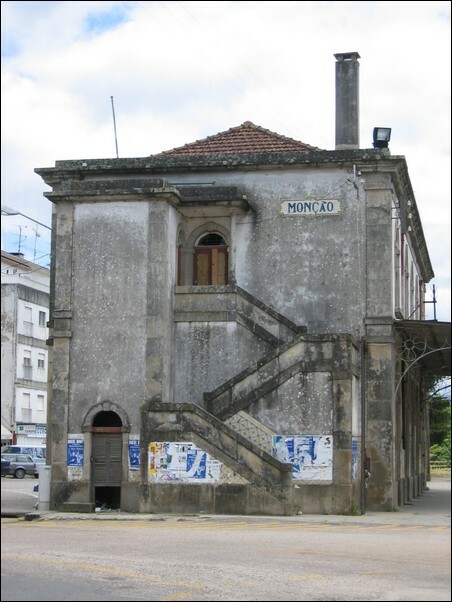 The disused railway line from Valenca to Moncao, about 20 kilometers. 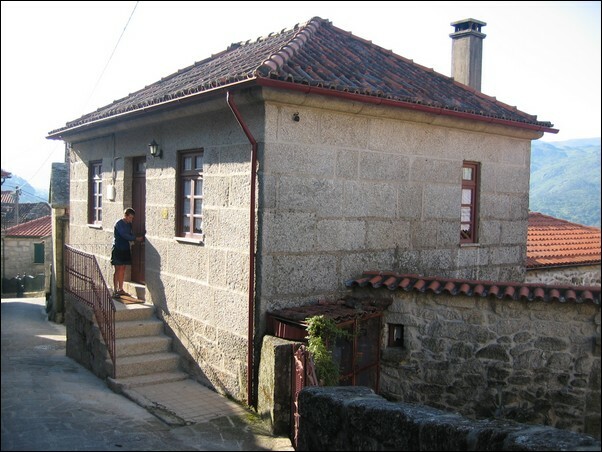 Bussed to Ponte de Barca, avoiding 45 kilometres of main road where we stayed at Pensao Gomez, a fantastic old house with a friendly lady owner. 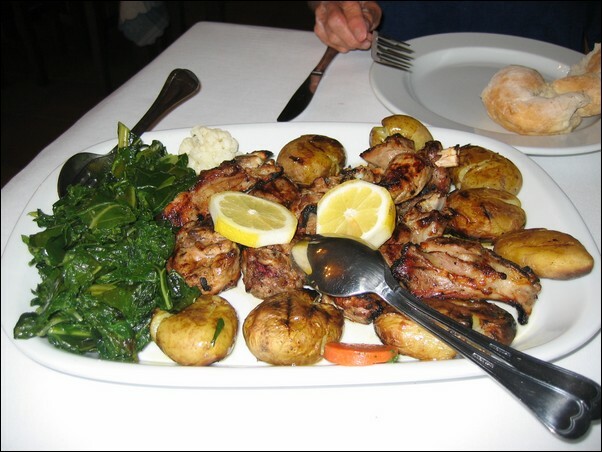 After ordering the speciality of the region, Sarrabulho, for dinner, the waiter advised it wasn't for foreign tastes - too much offal and blood we suspect. Went for the steak instead. 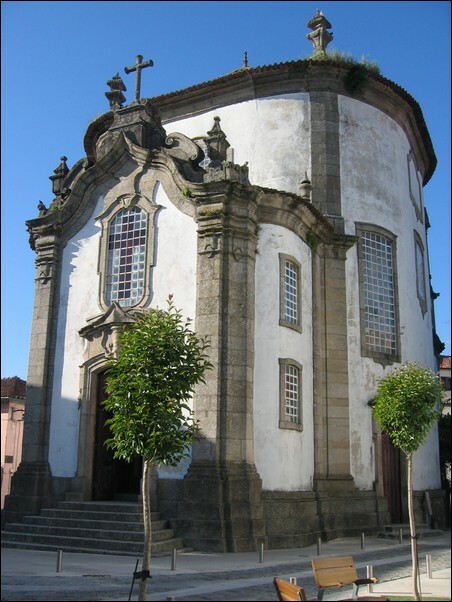 Then we did a short walk, 16 ks, to a 12th Century church at Bravaes and relocated to Arcos de Valdevez. Got lost. 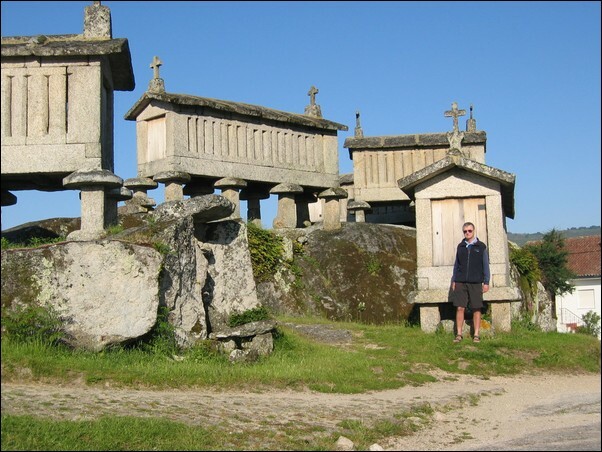 After a taxi to Mezio, in the Peneda-Geres National Park, we walked between stone constructions from the prehistoric to the "modern" (only centuries old). 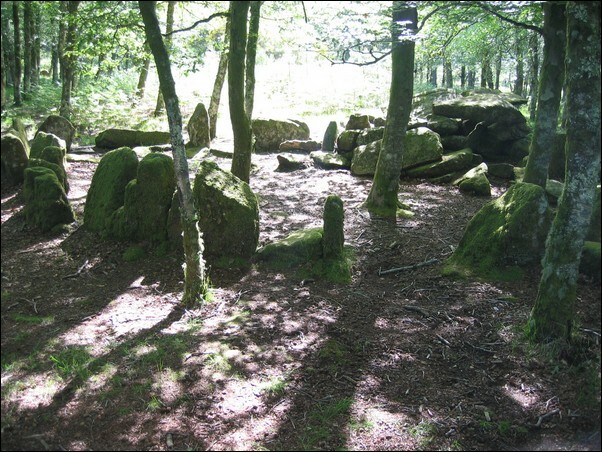 Significant architectural remains of the first sedentary peoples still exist here. 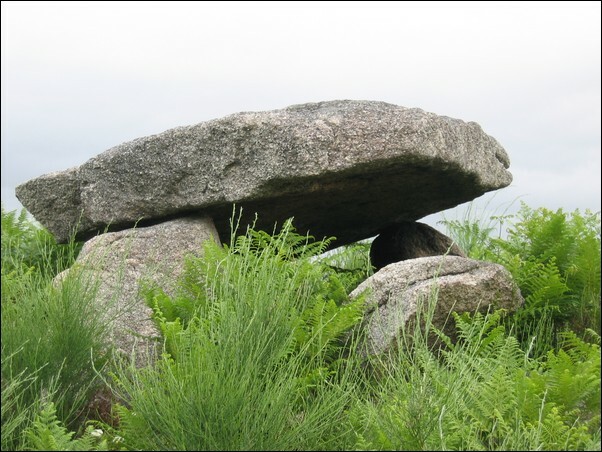 The dolmens are a type of prehistoric chamber consisting of two or more huge unhewn stone slabs set edgewise in the earth and supporting a flat rock roof. 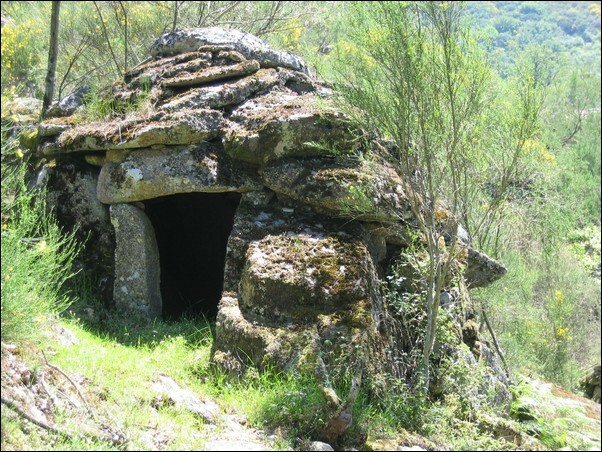 Perhaps the dolmens had the function of a tomb, perhaps an altar, maybe to show the authority of a group. 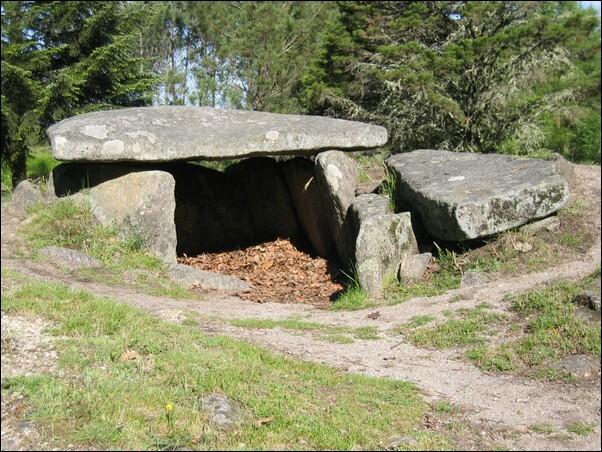 Similar dolmens can be found from Europe, to India, Indochina and the far East. 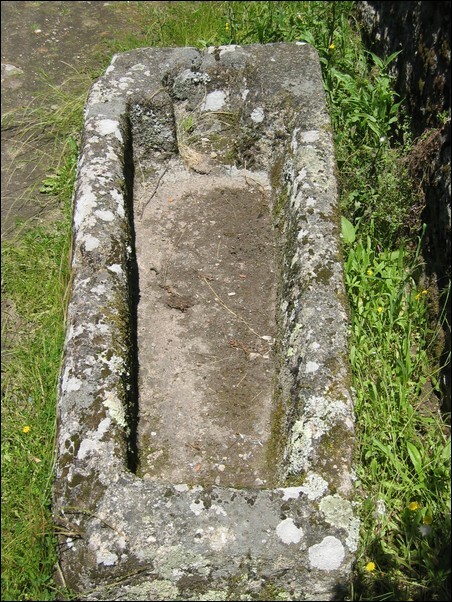 Spotted a couple of antas, funeral constructions for mass burials, which have a chamber bounded by large rocks with flagstone roofs and covered with small rocks and dirt to form a mound. 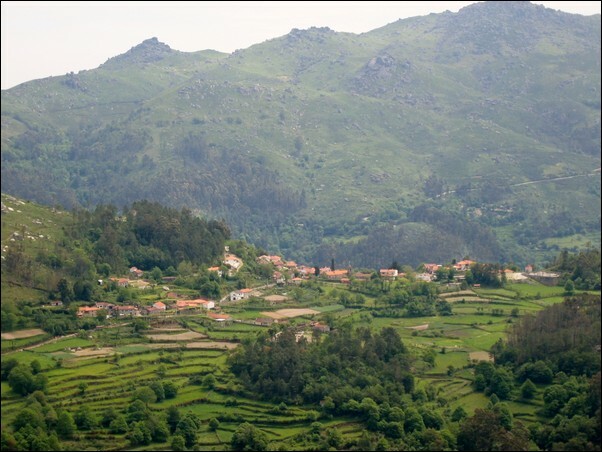 Throughout the centuries, the people of the Minho bred sheep, goats and cattle. 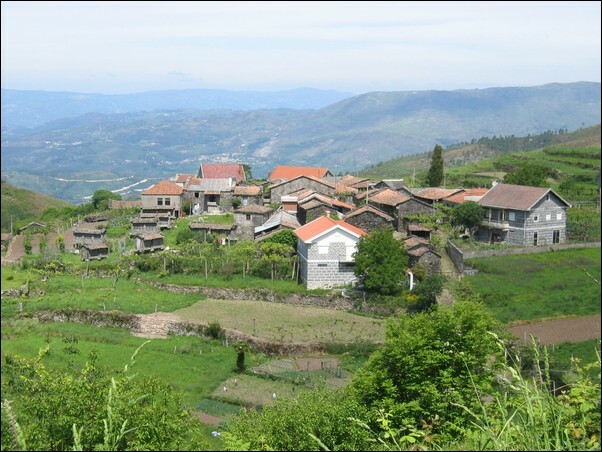 In spring and summer the livestock was taken to the high mountain pastures. 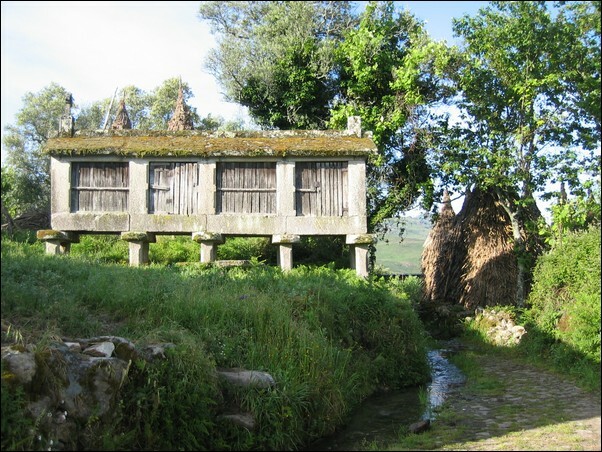 In some cases, the whole village would move for months, sometimes a lone shepherd. 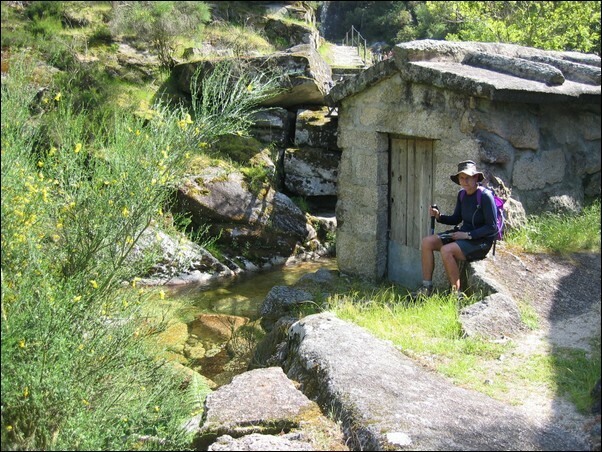 Primitive granite huts were built for shelter. 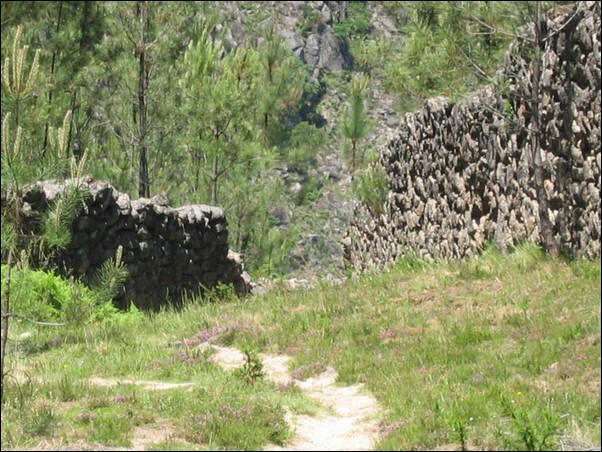 Strong stone walls protected people and animals from the wolves and bears. 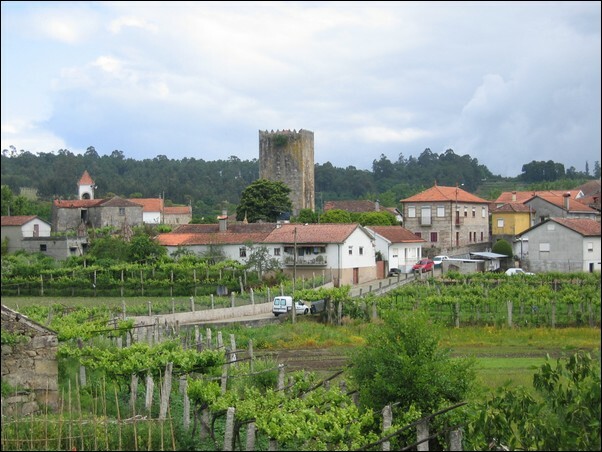 Every bit of usable land in the Minho was terraced to grow corn and grape vines, some now abandoned. Headed off for Soajo. Lost again - 3 hour walk took 6 hours. 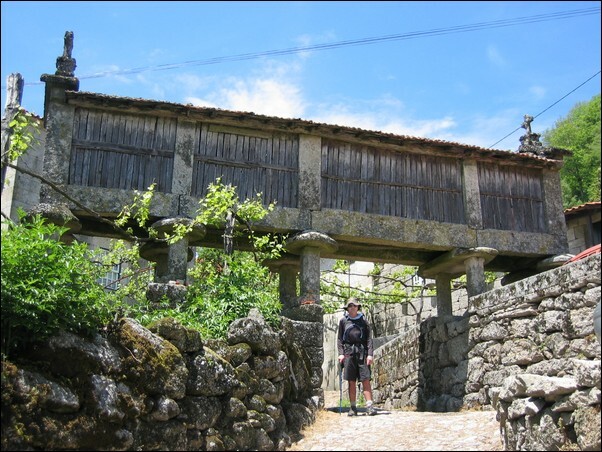 We stayed two nights in a traditional stone house in Soajo. 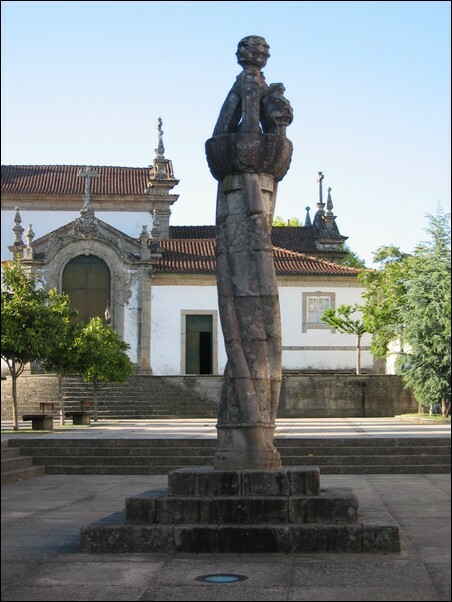 We came here especially to see the espigueiros, and espigueiros we saw - lots of them. 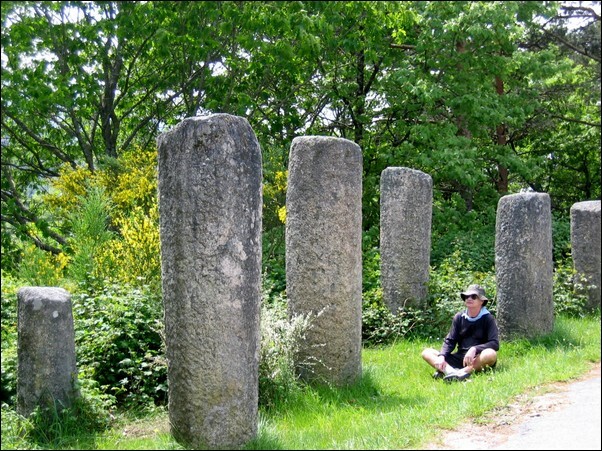 These are stone thingies for storing corn - take a look at our pictures. 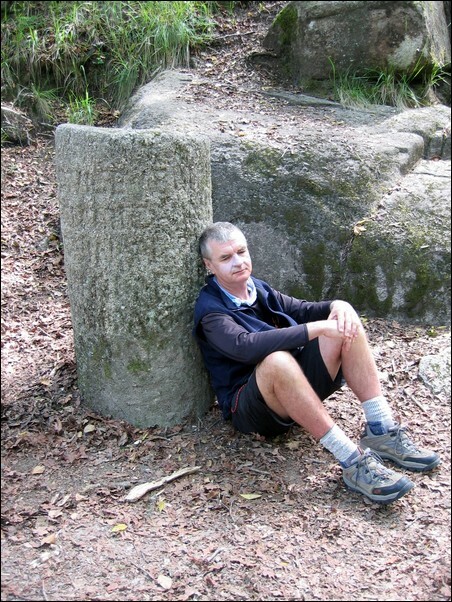 Did a local walk high up in the hills, got a bit lost again. 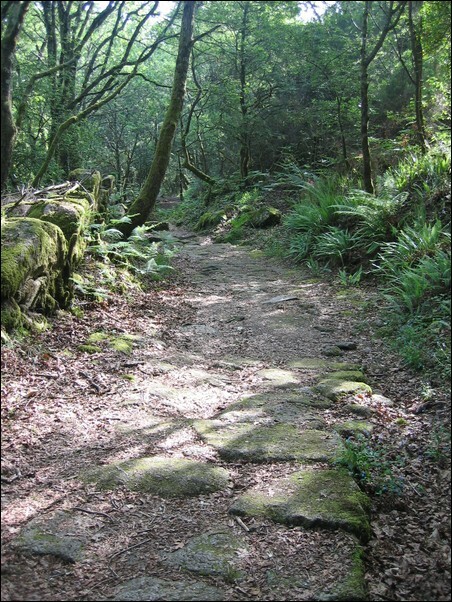 Sadly the old paths are falling into disuse and tracks are no longer used and maintained. 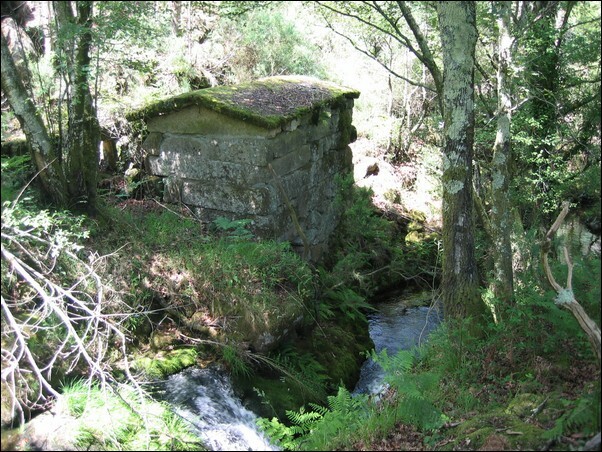 Lots of water mills and stone huts lie abandoned along the streams. 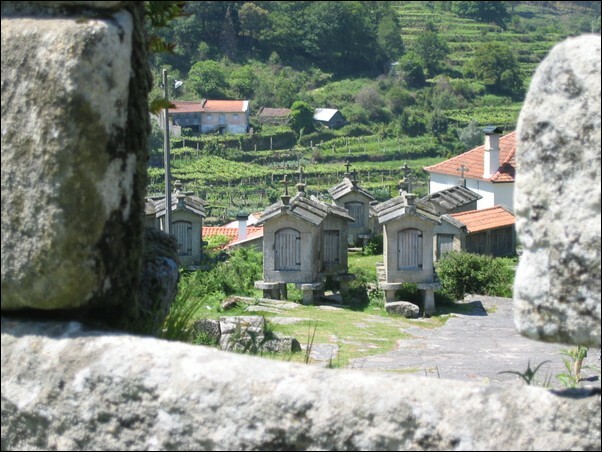 A traditional stone house in Saojo, our accommodation for 2 nights. 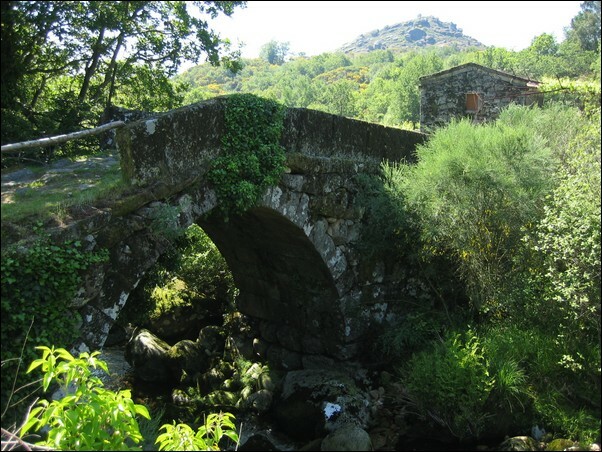 This bridge, and road, was constructed by monks in the middle ages. Carting stuff the easy way? 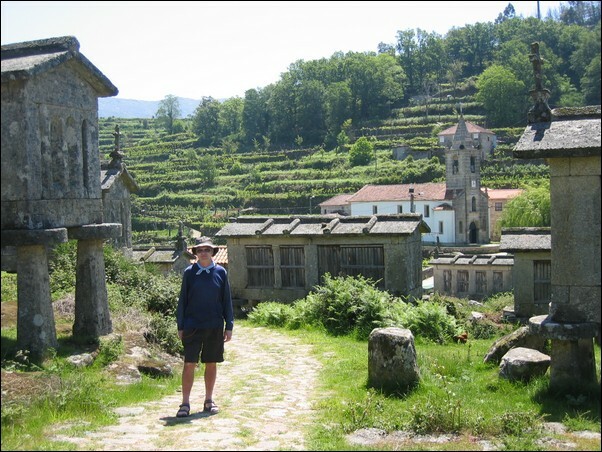 Walked to Lindoso along the Lima River valley - dramatic scenery, terraced fields and steep slopes dotted with villages - to more espigueiros, plus a castle. Lindoso version of Vinho Verde comes in beer glasses, full to overflowing. Perfect on a warm sunny evening. An afternoon walk to Prada was like stepping back in time. 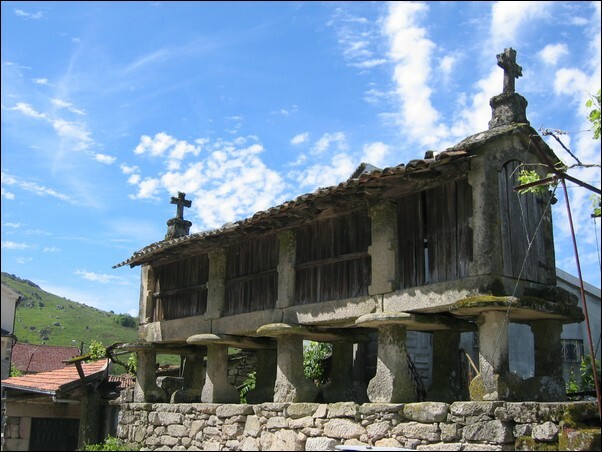 Some village houses still keep animals downstairs to warm the upper floor. 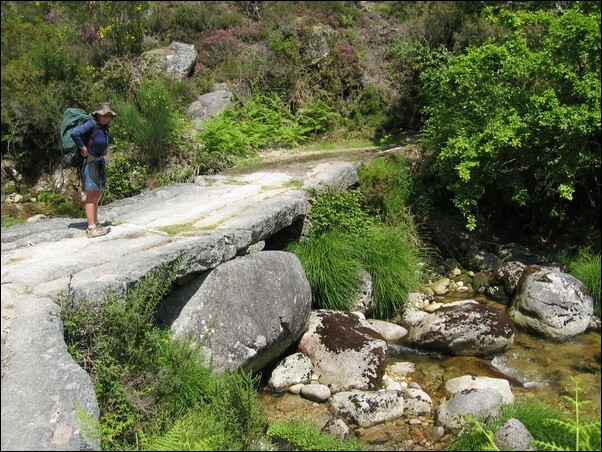 This stream is crossed by 3 bridges more or less in the same place. 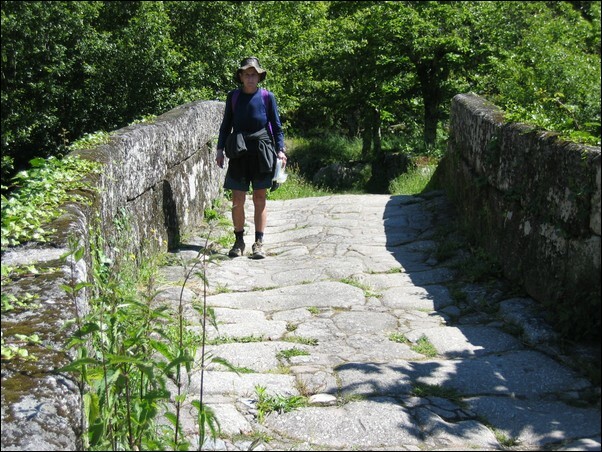 This is the original Roman bridge - the white concrete pillars hold up the ugly modern bridge. By bus to Brutelo. 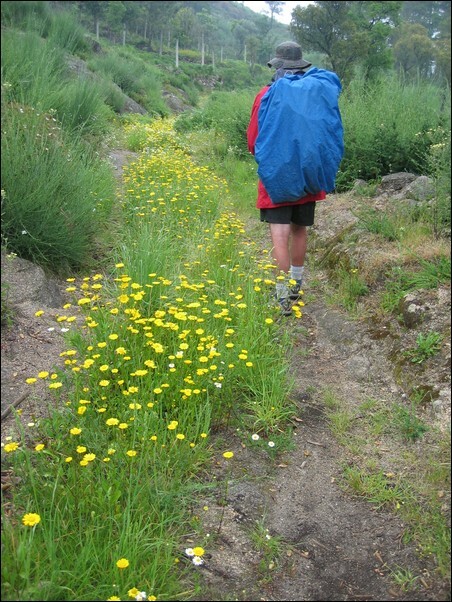 Had a pleasant walk to Lourado along the Rio Froufe on a delightful trail filled with wildflowers. 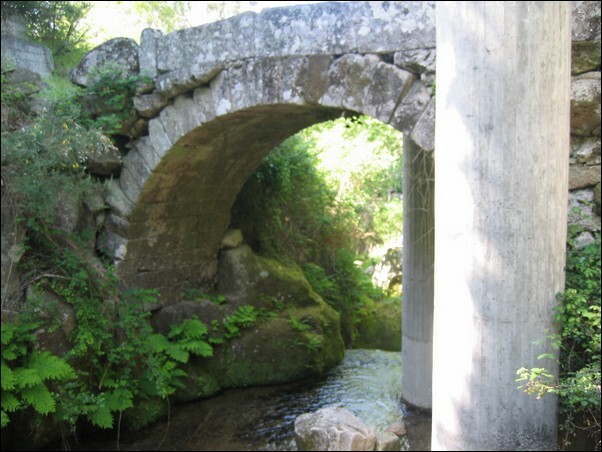 Overnight Ponte de Barca. 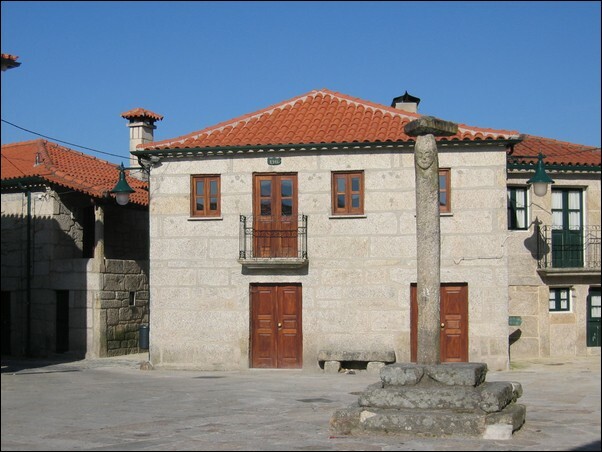 Next day began at Entre Ambos os Rios. 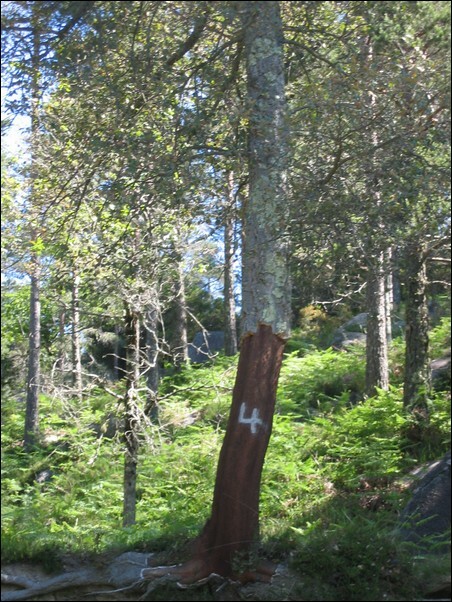 We were looking forward to walking 2 kilometres along an ancient water channel, which was fantastic, but the trail is so overgrown with thorny bushes our legs were cut to ribbons. 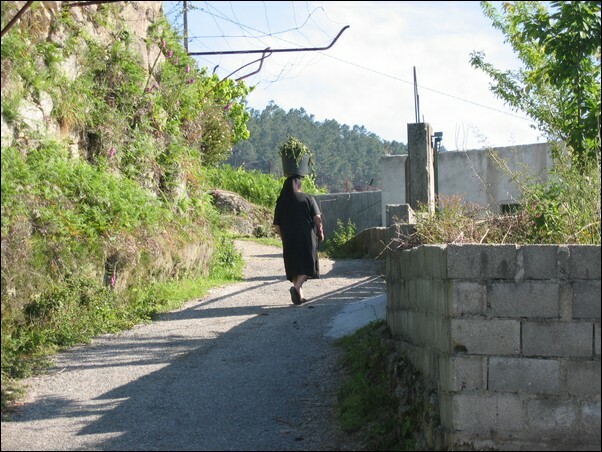 After leaving the water channel, we were crawling through thick head high scrub to follow the faint trail. Would not have wanted to miss it! 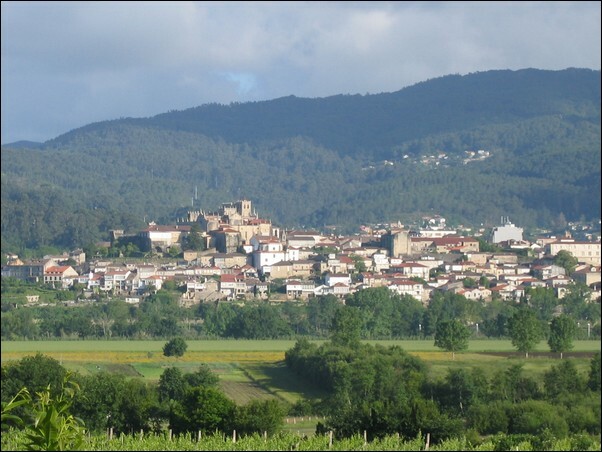 And so to the small villages of Sobredo, Germil, Cutelo, Cortinhas and Brufe to Campo de Geres. 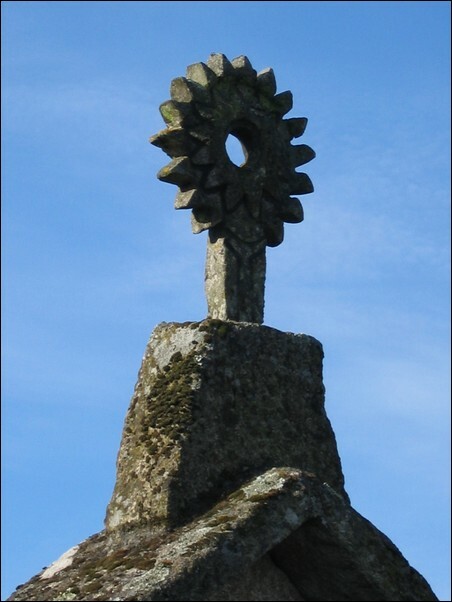 Unusual sun feature on an espigueiros. 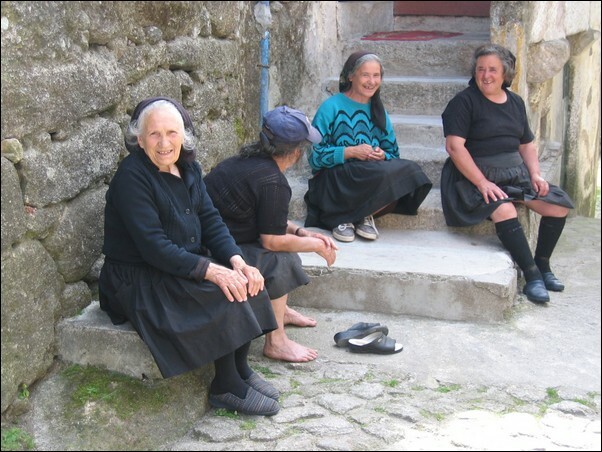 Espigueiros - just love them! But here is another one! 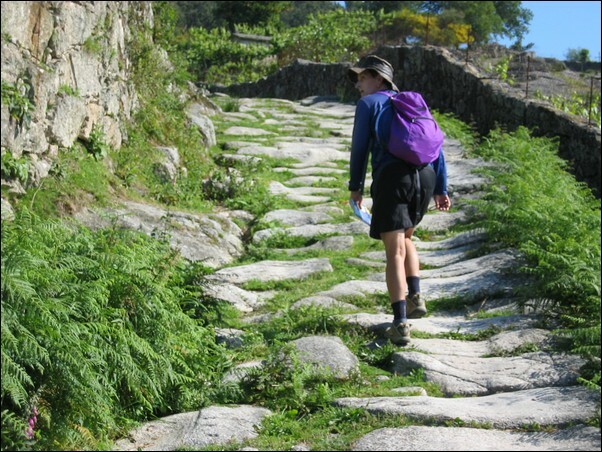 We were here for the Roman milestones. Love milestones. 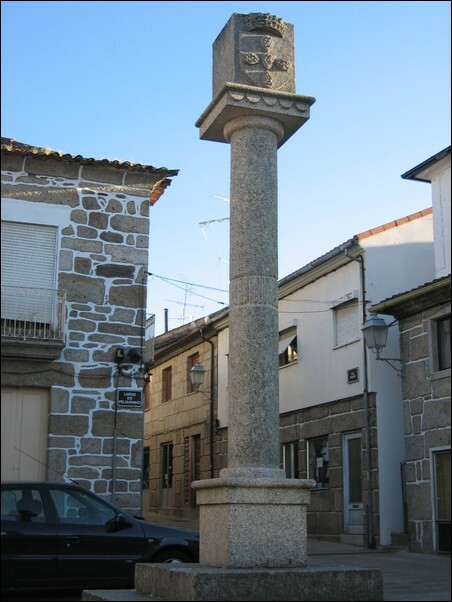 There was a Roman road running from Braga (Portugal) to Astorga (Spain) that crossed the mountain pass near here. 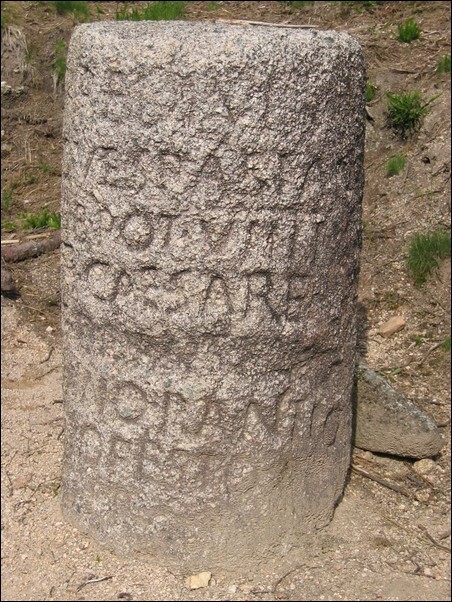 Every mile, the Romans put up stones naming the road, distance, the Emperor who authorised the road and sometimes other information. 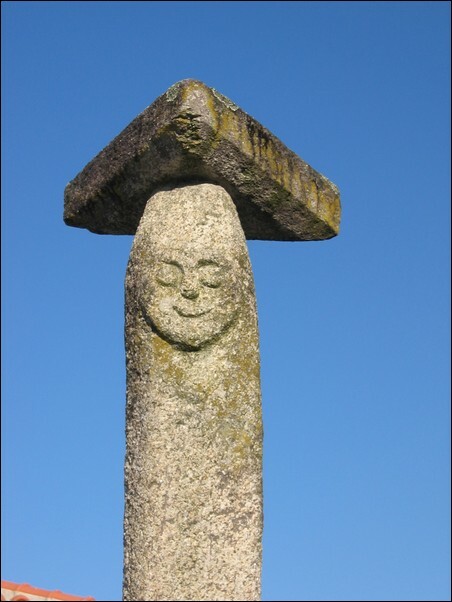 There are about 100 milestones between Campo and the Spanish border, consolidated into groups probably during the construction of the new road about 50 years ago. 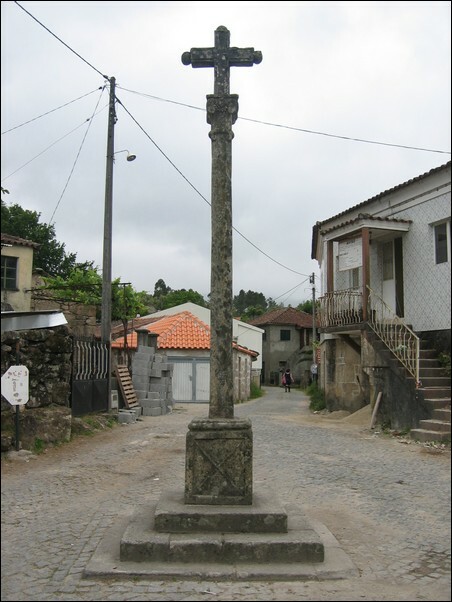 Between Campo do Geres and Portela on the Spanish border there are more Roman milestones than you can poke a palo at. 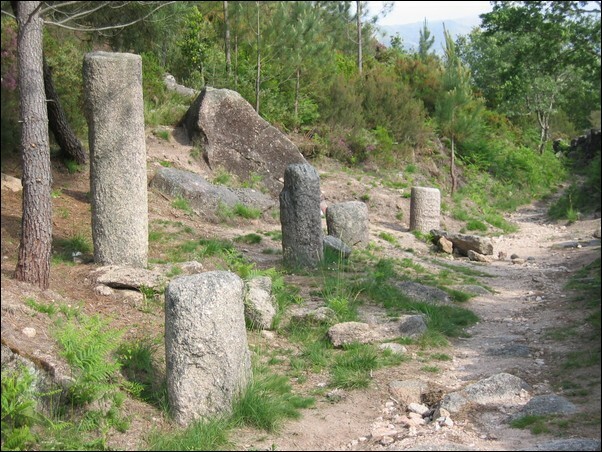 The Roman road ran from Braga(Portugal) to Astorga (Spain). 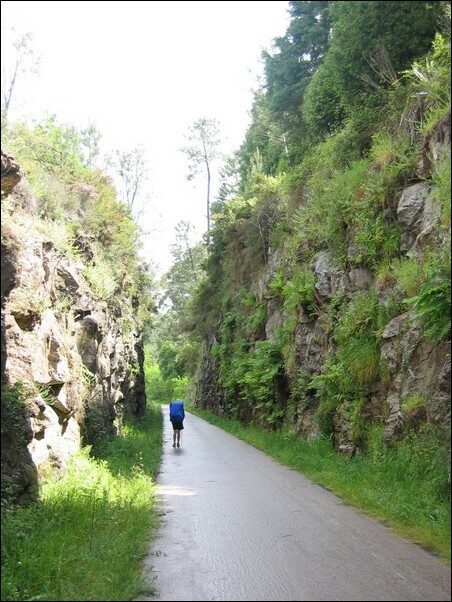 Spectacular winding road down the Geres River valley to Geres. 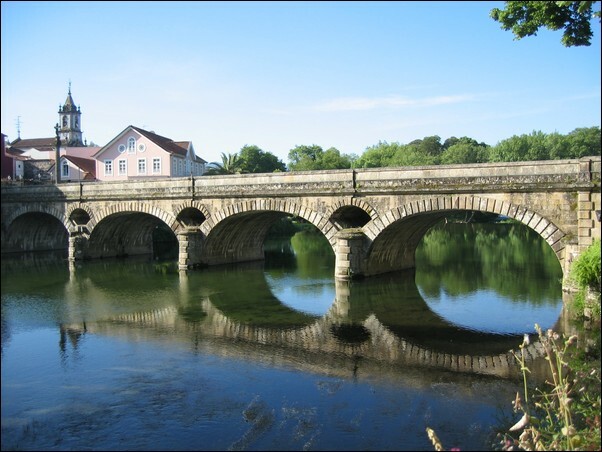 The river runs right through the town, dividing it into the upper and lower sections. 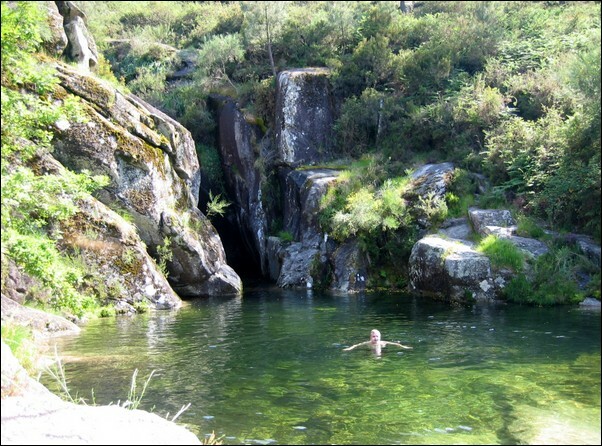 Many Portuguese tourists taking the waters, supposedly the natural hot water will cure all manner of ills. Stayed in a hotel bought to you by the Adams Family, complete with Lurch. 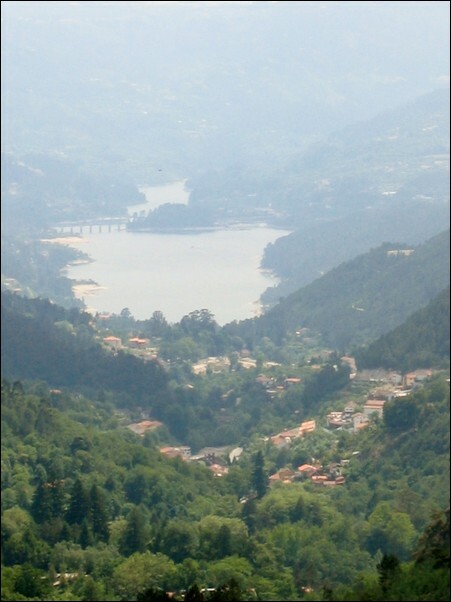 From Geres it was a 90 minutes up hill slog through pretty pine and oak forests before heading down to Emida. 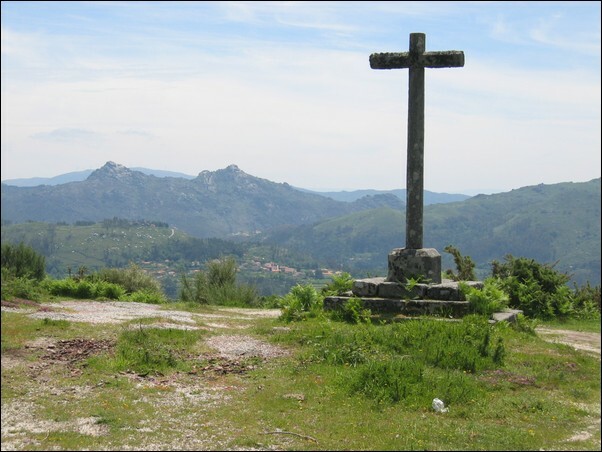 Another steep climb to Fafio, then down and up again to Salamonde. Fafio has a fojo do lobo! 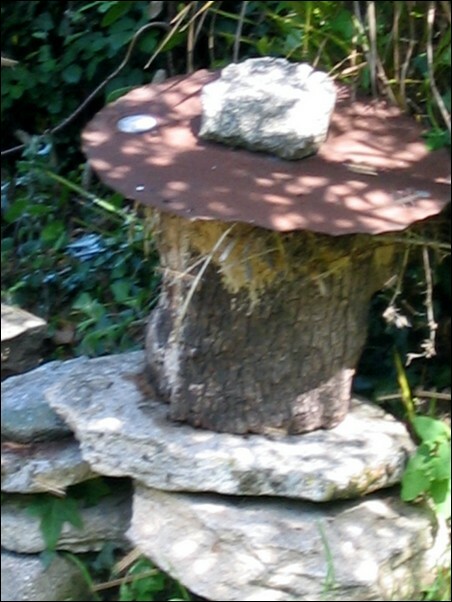 That's a wolf trap for those with limited Portuguese. I was very impressed. Hunting wolves was a big deal. 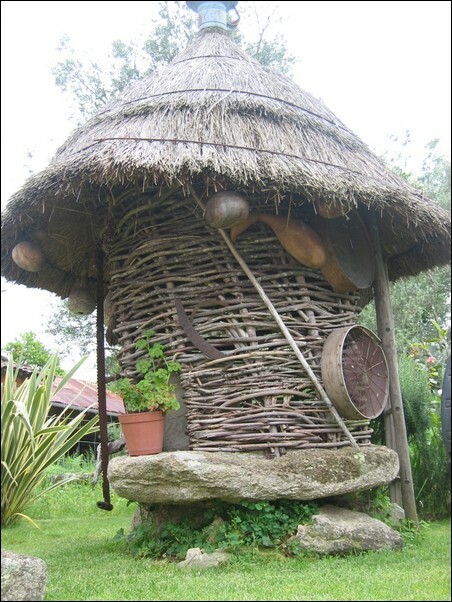 Every house had to send a hunter and anyone who no-showed was fined 12 litres of wine! 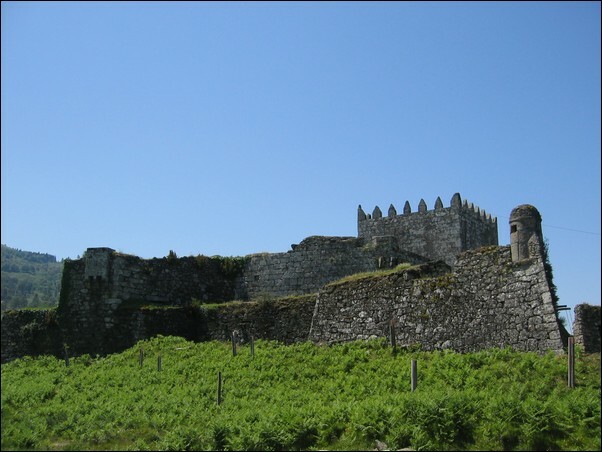 The villagers chased the wolf into a channel contained within 3 meter high stone walls. 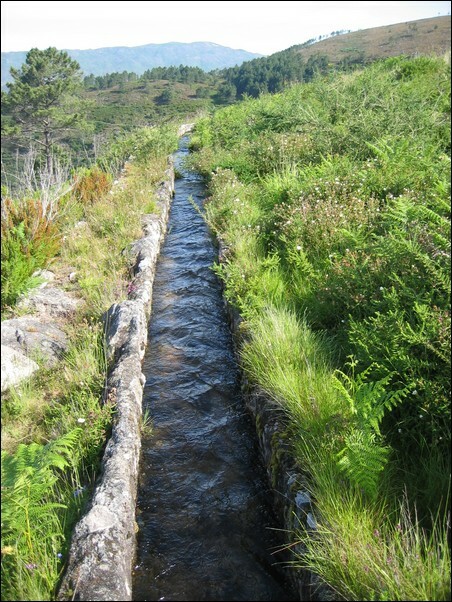 Once the wolf was in the channel he could only go forward towards an apparent opening lower down the hill. Too bad for the wolf, there was no opening, but a deep well. Wolf problem solved. 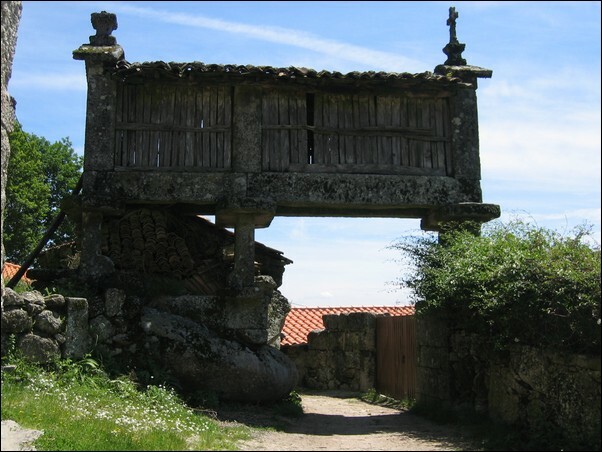 Fojo de lobo (wolf trap) at Fafio. 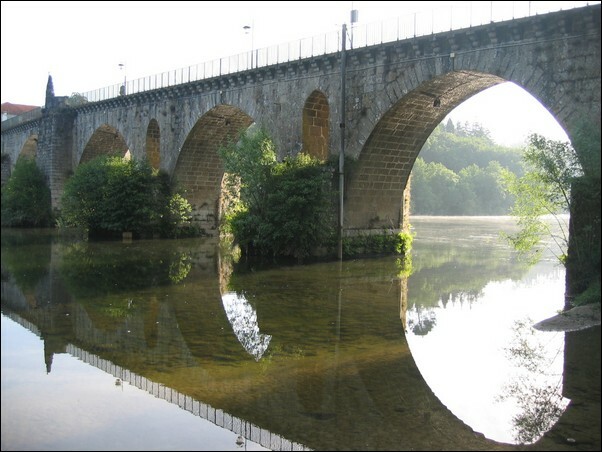 Now from Salamonde to Braganca is less than 200 kilometres along a major thoroughfare. Simple right? Well no. 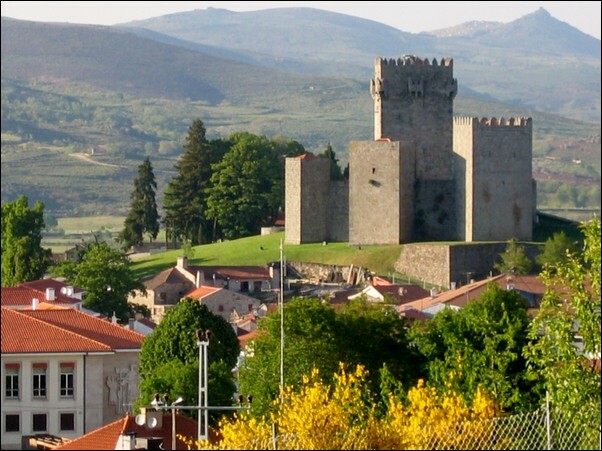 It took 4 buses by 3 different bus companies, an overnight at Montalegre and 24 hours. 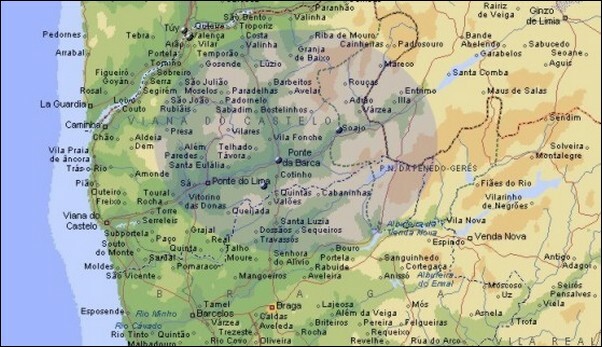 At dinner in Montalegre, we ordered the wrong wine for the food of this region according to the restaurant owner. So she, a German speaking Portuguese from the bar next door, and the cook got in on the act - all arguing in Portuguese. Finally we ended up with a great mature white, just perfect with the meal. This took so long we saw the sun go down for the first time in Portugal. Score to date 480 kilometres.